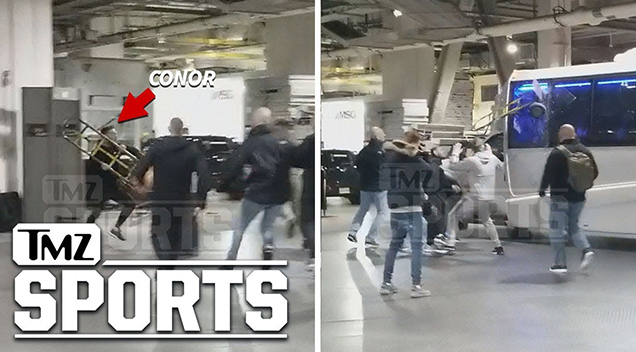 Conor McGregor was not happy that UFC president Dana White decided to strip him of his lightweight belt, so he went on a rampage that left one person injured. 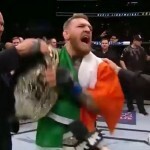 When McGregor found out that UFC president Dana White was going to strip him of his lightweight belt, he responded by tweeting an insult directed to the UFC management, crashing a pre-fight presscon, and throwing a guardrail at a bus that left one fighter injured. 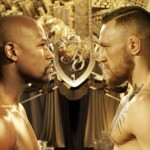 According to MMA Fighting’s Ariel Helwani. 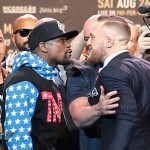 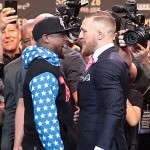 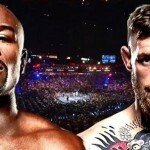 “Chairs were thrown through the van window, and one passenger on the van was injured.” McGregor and his entourage approached a minibus full of fighters that were leaving Barclays Centre in Brooklyn after the press evnt, when McGregor and his entourage turned up and that’s when things got out of control.